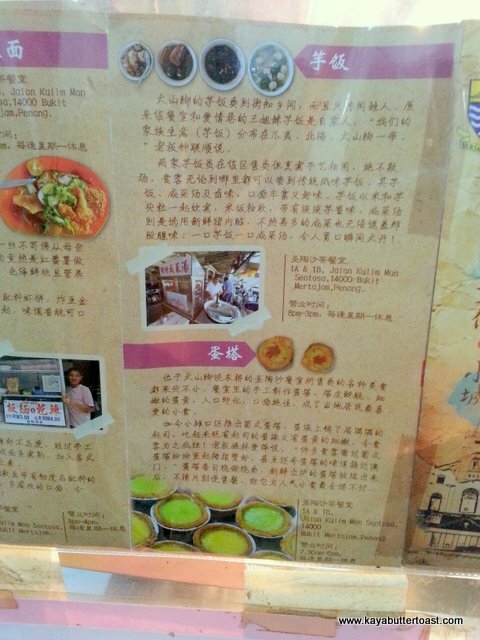 The Famous Yam Rice & Salted Vegetable Soup with Pork Organs @ Kafe Sentosa Corner, Bukit Mertajam! Kaya has wanted to post this for the longest time. Kaya has been eating this delicous and lip-smacking dish for more than 6 to 7 years ever since Kaya went to work at BM in 2006 until 2007. Everytime, KayaButter took photos but never get to post it in the blog. 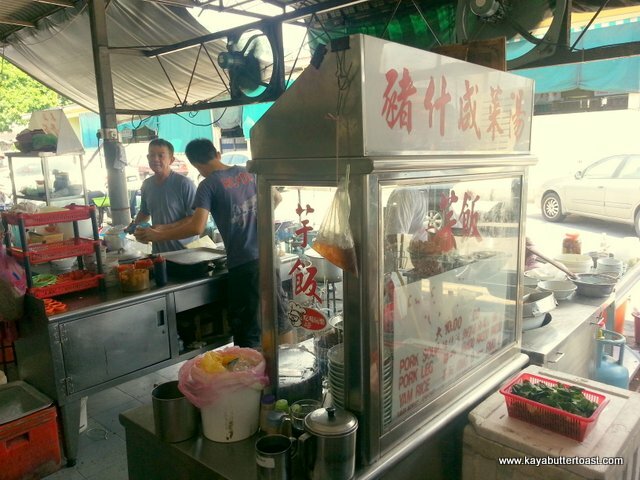 Finally, Kaya managed to get this famous eatery posted in our blog. Yay! Kafe Sentosa Corner is a bit messy with the tables scattered around without any proper placement and adjusted according to each person’s needs. So, don’t expect much from this coffee shop. 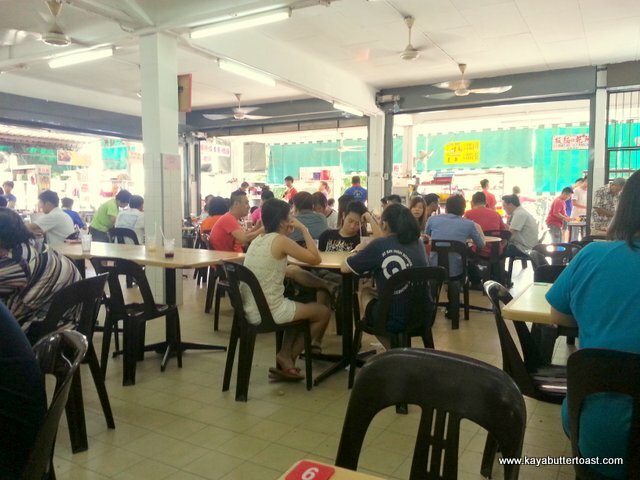 During lunch time or weekends, the place can be very packed and you will sit very close to each other. 🙂 The price to pay for good food! Yeah! Click ‘Continue reading’ for more details. 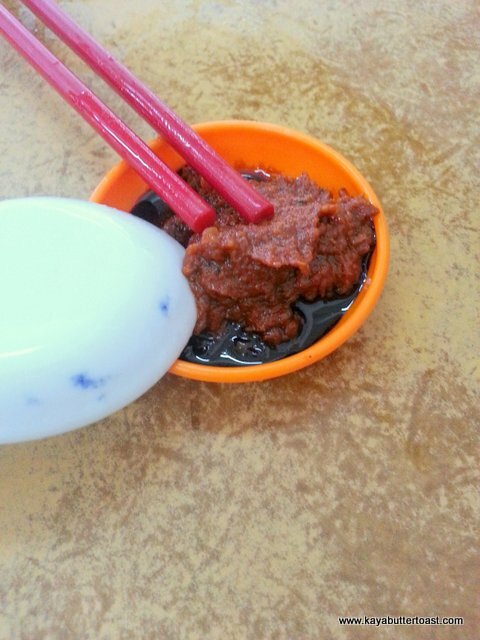 The famous BM (stands for Bukit Mertajam) Yam Rice with Salted Vegetable Soup with Pork Organs or some will call it as Yam Rice with Preserved Salted Vegetable Soup (or what we Penangnites Hokkien will call it as kiam chye th’ng). The rice is cooked together with yam, soy sauce and other spices to make this rice very fragrant and yummy. You can have the option for white rice but many will choose yam rice because of the extra ingredients. 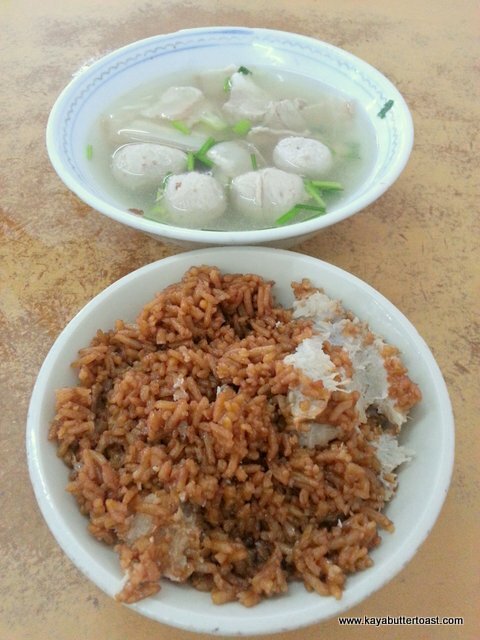 Yam Rice & Salted Vegetable Soup with Meatballs & Meat Slices RM5.00. 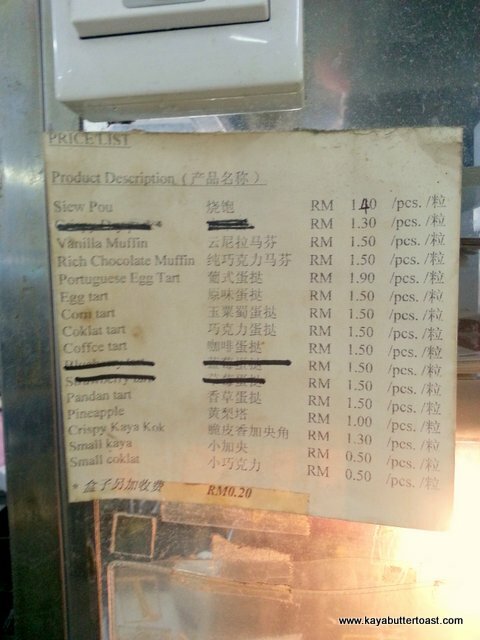 The updated price list of the tarts that they sell. Portuguese tart RM1.90. 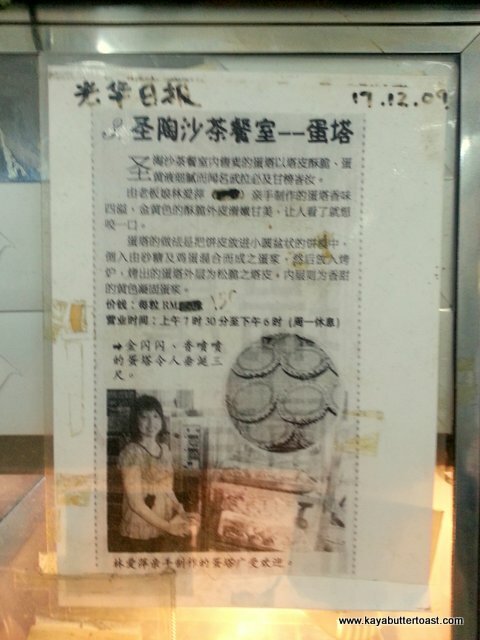 This is a famous bakery stall in Bukit Mertajam, Even got featured in local newspaper. 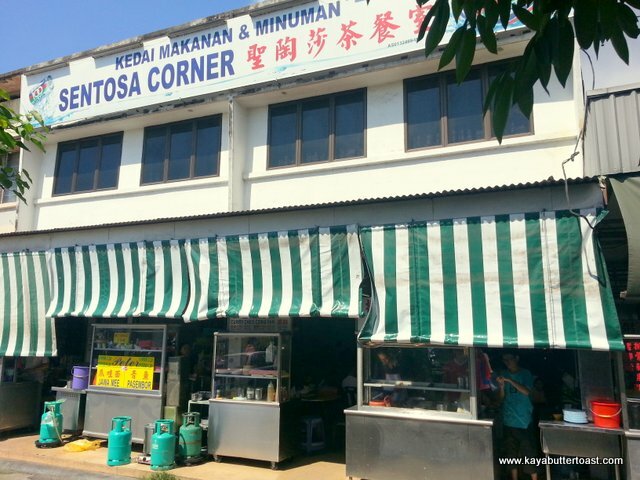 Remember to visit this coffee shop when you are around in Bukit Mertajam. 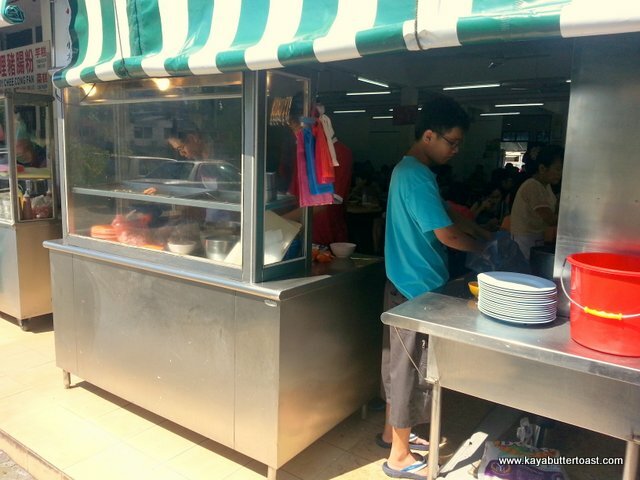 Do avoid the lunch time crowd as it will be very hard to find seats and you have to wait quite long for your yam rice dish. Direction to this yummy dish. Drive all the way Song Ban Kheng towards Bukit Mertajam, going up the flyover and you will see abandoned Mayang Mall on your right. Go straight some more and you will see shoplots on your left and right. Go straight again until you reach a traffic light. Go straight and start to look for parking. Parking can be found near a small field on your right after driving past the coffee shop. We are not sure of the operating hours but 1030am-3pm should be a safe time to go. Next story Onigiri Station おにぎり ステーション @ Sun Tech Penang Cyber City, Bayan Baru, Penang!